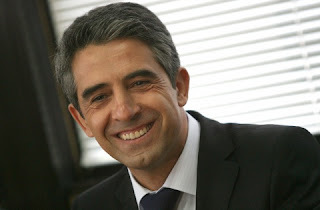 Bulgaria’s ruling GERB party candidate, Rosen Plevneliev, won a presidential run-off with 52.5 percent, preliminary official results showed on 31.10.2011. Plevneliev’s opponent, Socialist Ivailo Kalfin, won 47.4 percent after 98 percent of the votes cast in Sunday’s election were counted, a spokeswoman for the central electoral commission said. The victory will strengthen Prime Minister Boiko Borisov’s hand before a 2013 general election in the poorest European Union country, which is recovering from a prolonged recession that hit incomes and raised unemployment. Before the vote, Plevneliev was construction minister, and he became more popular than Borisov thanks to the speedy building of highways. The 47-year-old engineer will replace outgoing president Georgi Parvanov, a Socialist, denying the opposition a high-profile, though largely ceremonial, position and the chance to veto bills or appointments initiated by the cabinet. The narrow margin between Plevneliev and Kalfin, however, signals that the Socialists are rebounding from the defeat they suffered in 2009 and will most likely be GERB’s major rival in the next general vote.